After having a very busy weekend, it meant that something had to give and unfortunately it was my post for Pan pastel Challenges; I simply ran out of time and energy. However it was a great weekend spent with my family, so I hope I can be excused for my lateness. 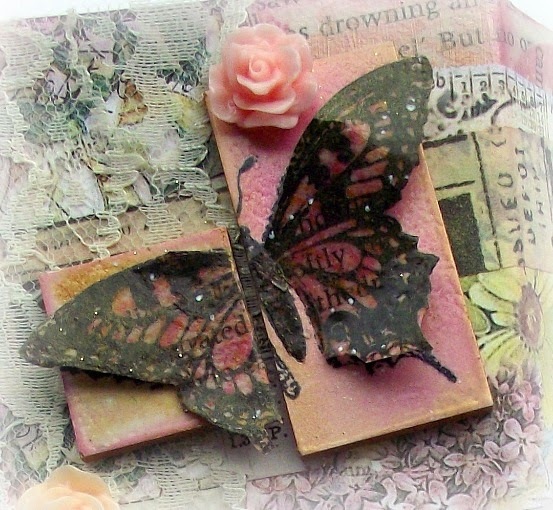 The new challenge theme over on Pan Pastel Challenges is "alter it" and I have decided to alter one of the boxes that my pan pastels came in ... yep I kept them because ..... well, I knew one day I do something with them ... ! 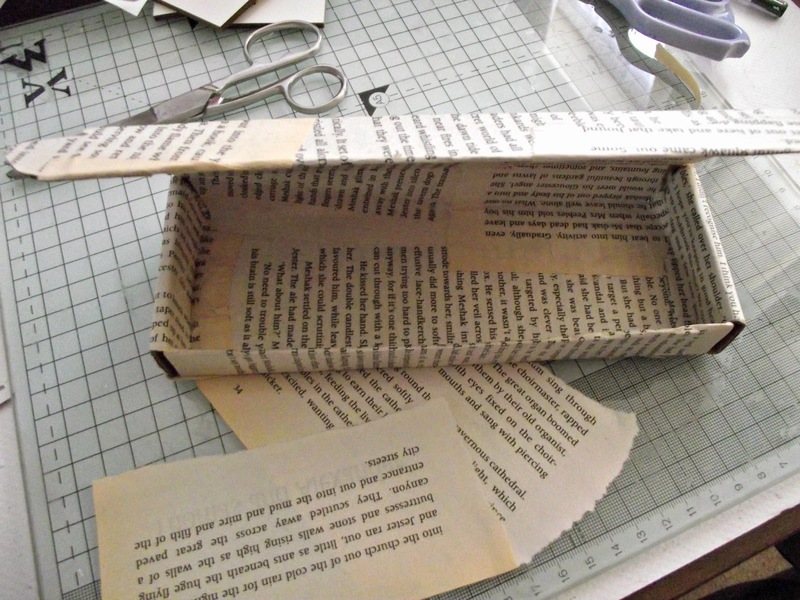 I started by covering the box with old book pages, layering them randomly. 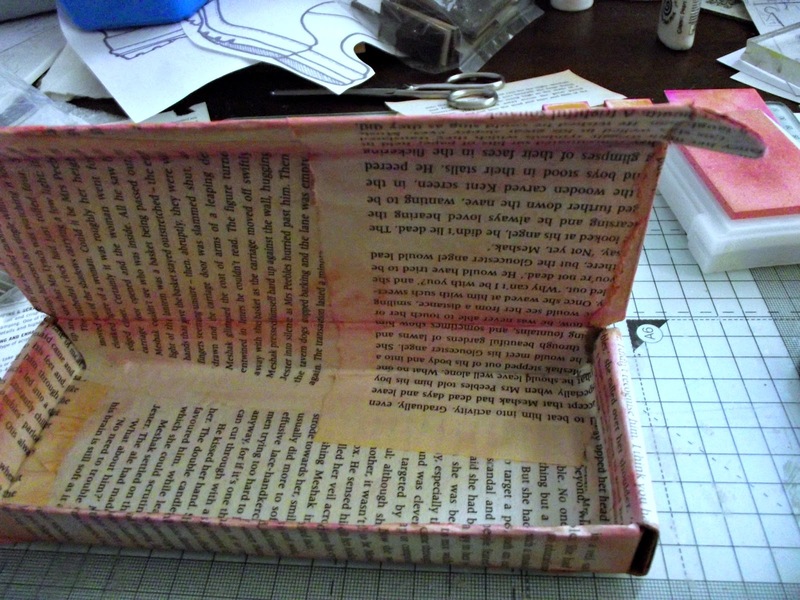 I decided to keep the end tabs so that the box would still close. 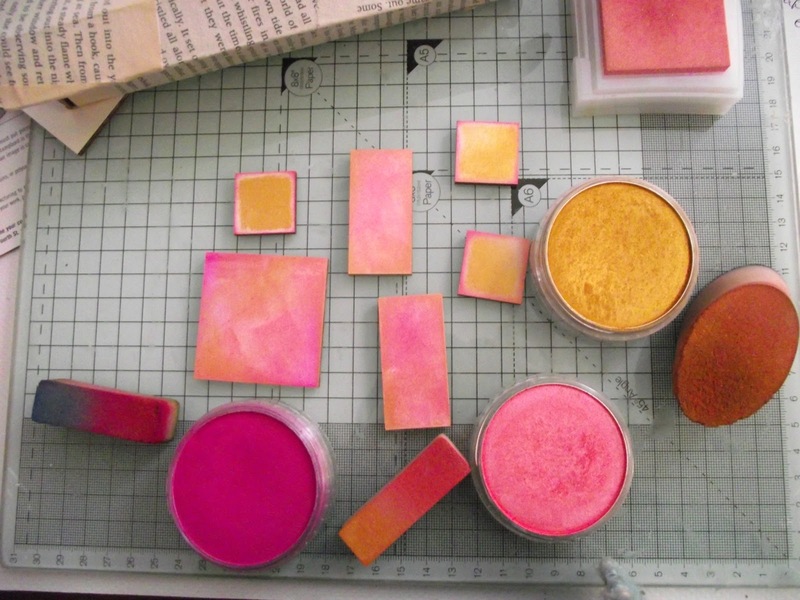 Next I decided to cover some stampbord pieces with pan pastels ready for stamping. 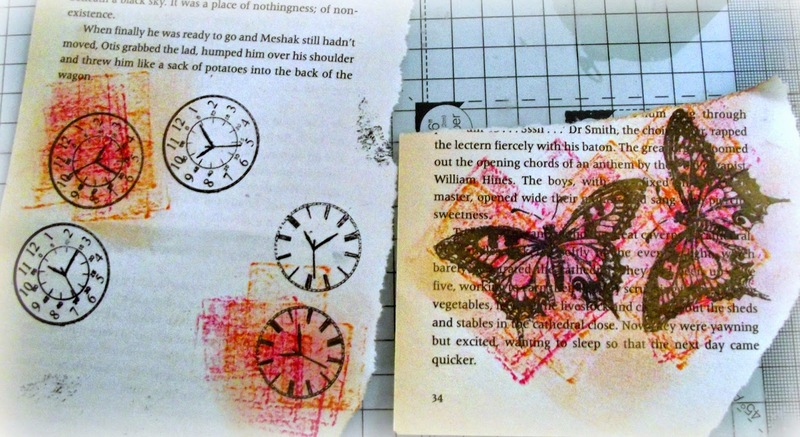 Using the same pan pastel colours, I gradually added colour to the book pages to match the stampbord pieces. I also decided to colour the inside too .... just because ... well, just because. Next using a selection of Premium Craft Brand stamps, I started decorating both the box and a selection of different papers. 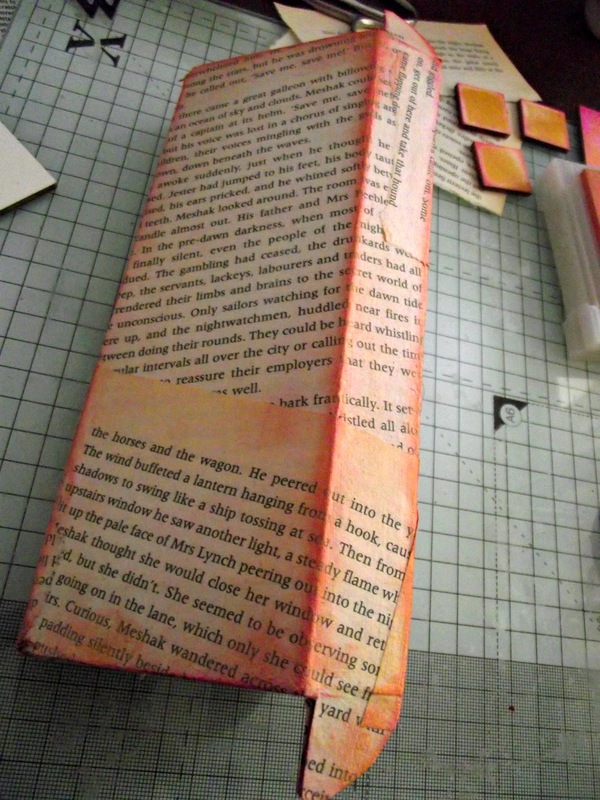 Layering these on top of the book pages in a collage effect. 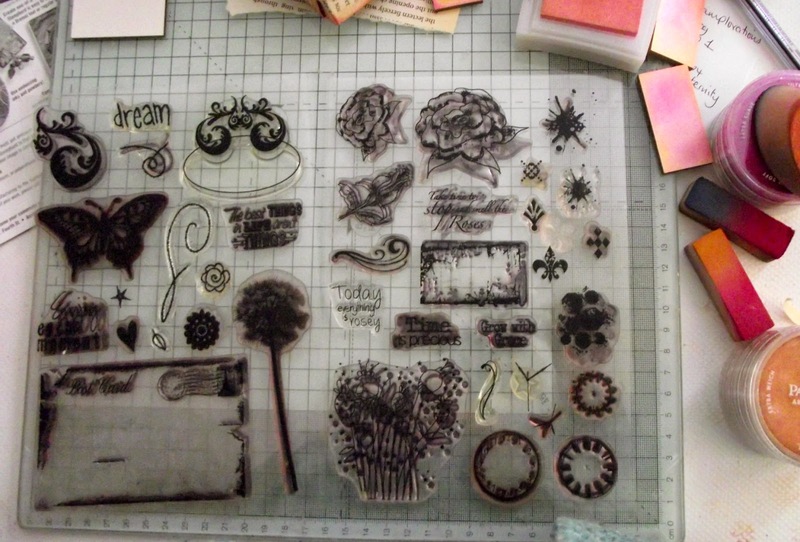 I stamped some of the images on to the book pages to add as embellishments to the stampbord pieces. I used distress inks to hap hazardly colour the images, edging them with burnt umber pan pastel. 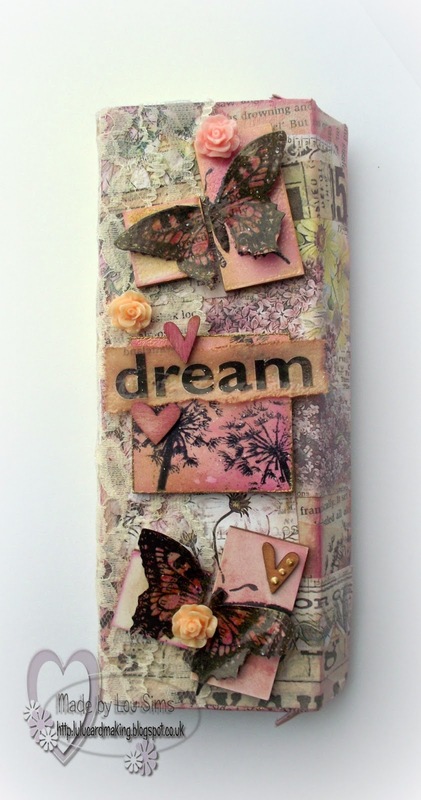 All the other stamped images were coloured with my pan pastels and as a finishing touch, I added some Tim Holtz tissue tape. 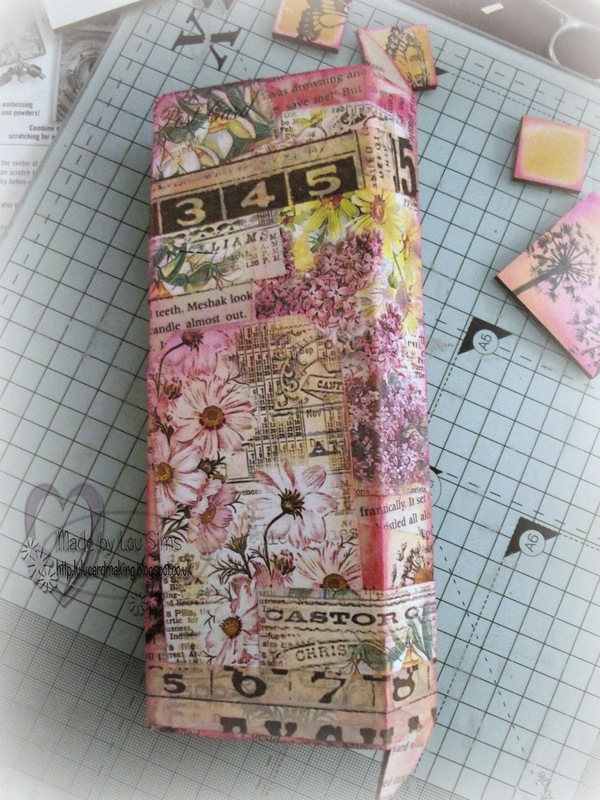 Finally I added the stampbord pieces and then I began adding embellishments to them. It was great fun getting messy and making something other than a card and now only have another 4 boxes to decorate ...! This is fabulous Lou! I love the colours and gorgeous stamps. 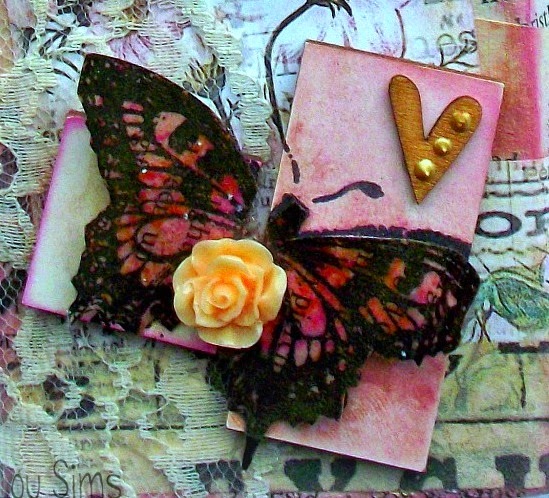 Thanks for entering our Not Just Card Challenge! WOW! What a lot of work. Beautiful creation, I love it! Wow - this is a stunning piece of work! 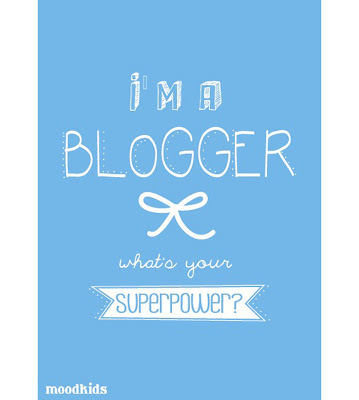 Thanks for joining in our create your own background challenge at Use Your Stuff! Wow! This turned out absolutely stunning! Thanks for sharing with us at Use Your Stuff! Good morning Lou, Wow what a transformation. Absolutely stunning. 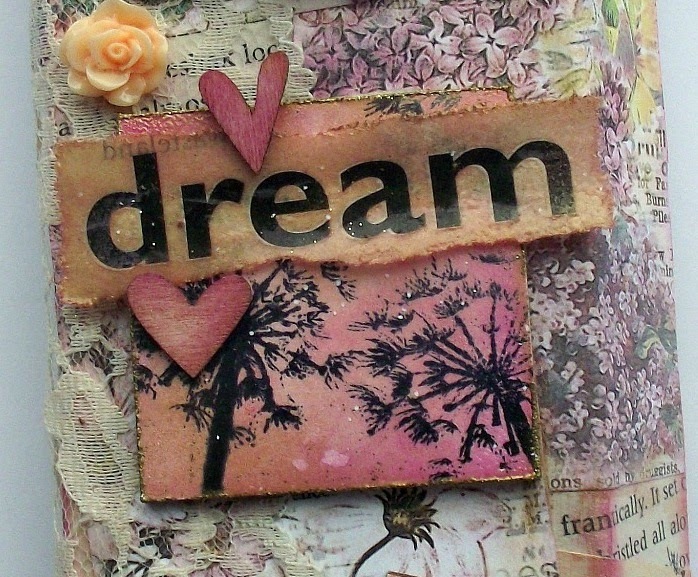 Love the use of paper and beautiful colours. 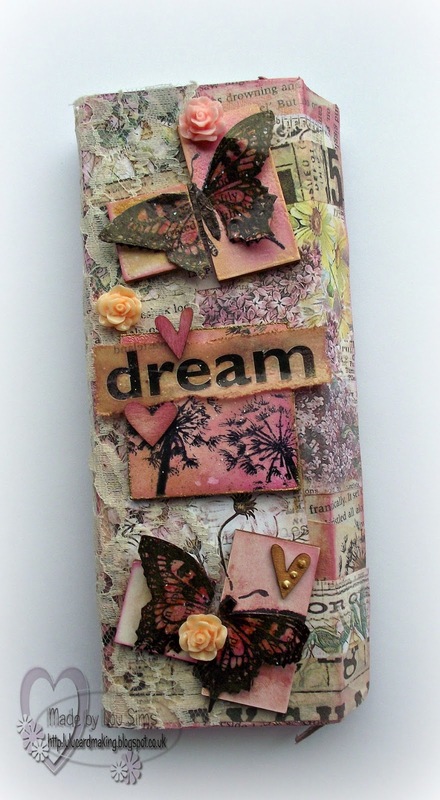 Got to say that I really love the mixed media effect! Thanks for sharing what you could create for the background, at Use Your Stuff! I love the soft colors of your box. It's beautiful! Thanks for joining us at Crafting from the Heart this week. Great project! 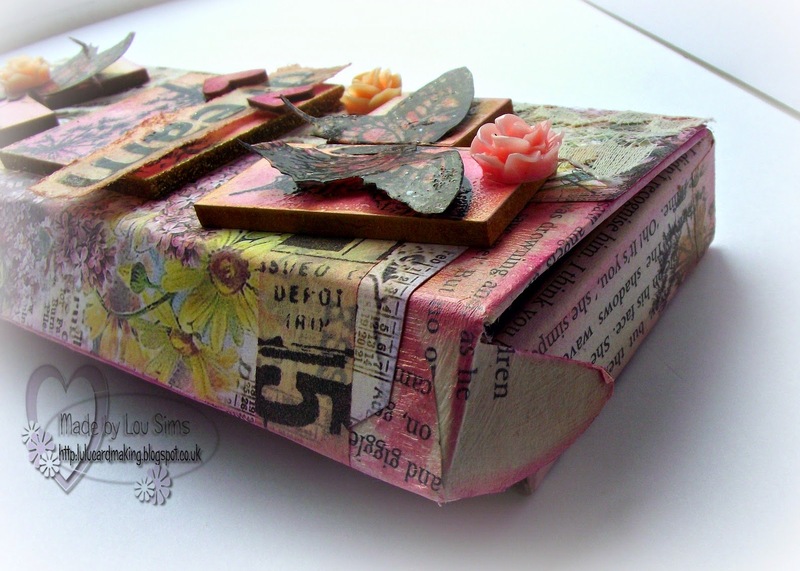 I love vintage crafts and everything includes butterflies and flowers, so I adore your box! Gorgeous! Thanks for sharing this with us at Through The Craft Room Door. Please come play along with us again!